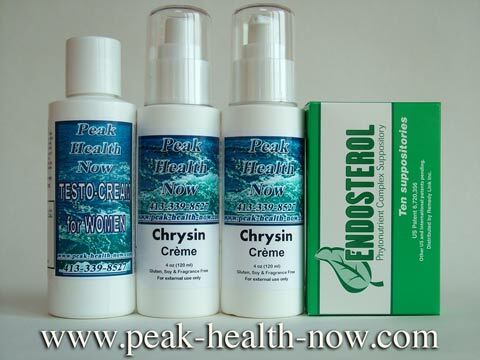 REAL Estrogen Cream contains the hormone Bioidentical Estriol USP. 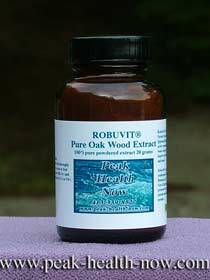 It is made the same way natural progesterone USP is made. Sterol analogues found in many varieties of plants are combined with specific bacteria and the resulting hormone is bio-identical in chemical structure to the hormone produced by the human body. This cream is the one I personally use and recommend to my clients. 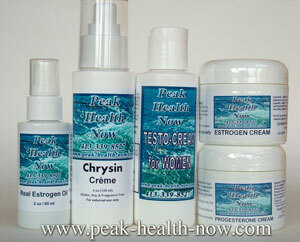 PHOTO ABOVE: REAL Estrogen Cream, REAL Estrogen Oil for vaginal use, Chrysin Cream for Women and Men, Testo-Cream for Women and Progesterone USP Cream provide comprehensive hormonal support. 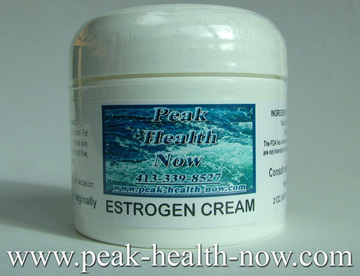 Estrogen Cream: Why is Topical (Skin) Application Better Than Taking it Orally? Why Estrogen Cream? 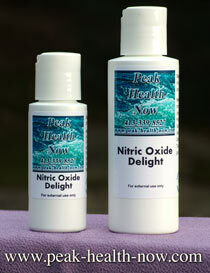 Natural estrogens taken orally are mostly destroyed in the digestion process. Adequate absorption is only accomplished through topical application in the form of a cream with a penetrating oil component. PHOTO ABOVE: Deluxe TestoWoman packages for You! As a woman, you need Testosterone as well as Estrogen! 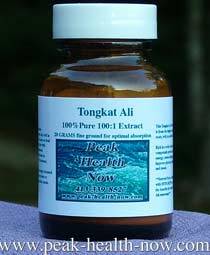 Libido, sexual response, confidence and calmness require Testosterone!